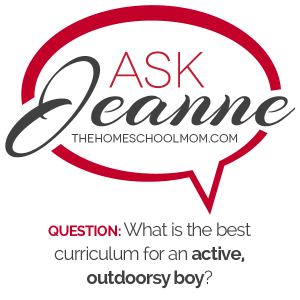 Ask Jeanne: What Curriculum for Homeschooling Boys? You are here: Home / Blog / ADD/ADHD / Ask Jeanne: What Curriculum for Homeschooling Active & Outdoorsy Boys? 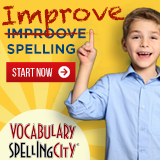 We just started homeschooling about a month ago. Our son is in first grade. We purchased the curriculum (here she named a specific well-known Christian curriculum), but it’s not going as well as I had hoped. My son really doesn’t like the structure of the program. He’s a six-year-old boy who loves to be outside. Any encouragement, advice, resources, wisdom, or thoughts would be appreciated! Thanks so much! It’s wonderful that you are homeschooling! 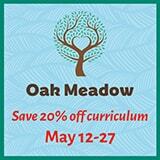 Yes, that can be a great curriculum; I am very familiar with it and have used aspects of it. However it is a lot to cover and does not fit all personalities and learning styles. Truthfully I think that six is too young for a formal curriculum, especially for many boys, and especially with a curriculum that is as involved as the one you mention. If I were you, I’d try very hard to get to an inclusive homeschool conference (like the VaHomeschoolers conference in my home state), which would be a really good place for you to get a feel for the many different homeschooling approaches people use. These are homeschooling styles, and not all of them involve formal curricula. Now as for what you can do at home, consider informally putting a plan together yourself or else go with unit studies — your own or those you can find online — or at least consider using a less ambitious curriculum. One good possibility as far as a pre-done unit study curriculum is Five in a Row — but if you use that, I would not feel bound to using it exactly according to instructions because it might drive your busy son crazy. For example, the instructions say something like read the same book each day and do a related activity. Well, my experience is, despite what their FAQs indicate, many kids can’t take the “read-the-same-book-each-day” part for five days, even though this is a very good program. So, you adapt it. Read the children’s book with your son and do activities that appeal to you and you think will appeal to your son, but don’t read to him to the point of him being sick of the book, which is counter productive. So those are several curricula I’d recommend over the curriculum you chose for a little guy — but overall I’d say — Do What Works! Try living a learning lifestyle. So living a learning lifestyle means that if you have an active busy boy who will play with Lego bricks and cars while you read good books from the library for a bit each day, then do that. Have him cook with you. Make things with him. Take him for long nature walks and collect things along the way — a fallen bird nest, a red leaf, a locust shell — and arrange them on a nature table and talk about these treasures. Supply him with a magnifying glass and a bug book so he can look at the details of the locust. Set up a bird feeder and feed the birds, with a bird book and binoculars right there at the kitchen table, so you model looking things up for him. Sketch the birds or color pictures of the species you find. Go to the play ground, ostensibly to see if you can “also” find cardinals there — but really you are also letting him run off more steam. In other words, I think that with a six year old energetic boy, mainly you want to live with him and do things to encourage and engage him. Take walks and skip count. Let him count and sort Daddy’s socks. Read little readers about math concepts (see www.LivingMath.net) Go to the library. Go to a play or music performance. Take field trips. Make art. If he likes animals, do an animal “unit study” and let that be science. If he likes robots and electricity, make that your unit study and let that be science. The Radio Shack guys gave me great guidance on what supplies we needed to build a little circuit board for the guys to play with, or you can buy electronics kits for kids. Here is an example of something I wrote about a kind of “live and learn” project I did with my children, Creating a Calendar with Children. Note the tone of this article — which is that it is about doing as much as the child can tolerate in one day – not as much as possible! The idea is creating engagement. I think if you take some of these ideas into consideration, you might find your son enjoys homeschooling more. Good luck! Stay tuned for the next installment of Ask Jeanne — when this same homeschool friend responds that some of the problem adjusting to homeschooling seems related to her previous job — as a public school elementary teacher!